The original memorial to the B-17 was erected on March 10, 1944. 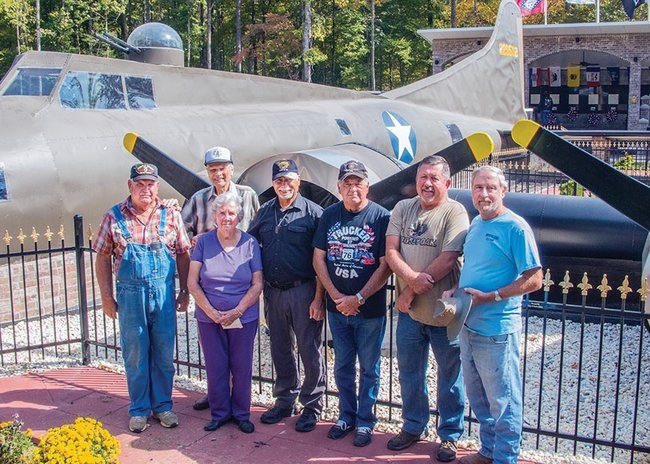 The memorial was dedicated at Sheridan Park in Sheridan, Arkansas on October 12, 2015. A replica of a B-17 airplane sits front and center in the park, which also honors Grant County veterans killed in action since World War I. The park also pays tribute to Civil War soldiers, both Confederate and Union, who fell during the Battle of Jenkins Ferry, which occurred nearby. To the rear of the plane is a black granite wall containing names and information about each of the airmen who perished that day during World War II. Attached to the other side of the original monument is a plaque that honors the late Jerry Jackson of Benton, who, with his father in 1984, first discovered the long-forgotten memorial and brought it back to life as his Eagle Scout project, working in tandem with the Grant County Museum to honor these World War II veterans.